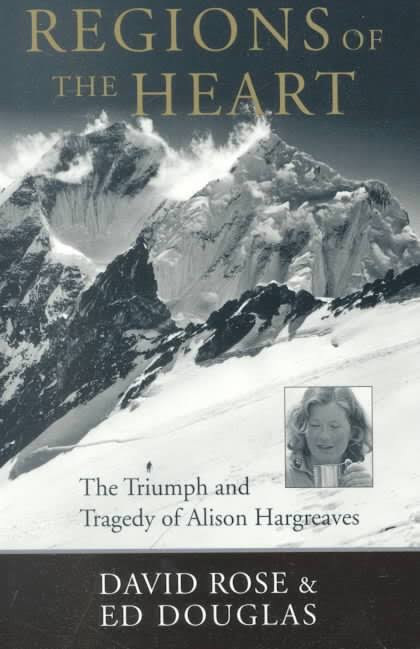 Cover of the biography Regions of the Heart: The Triumph and Tragedy of Alison Hargreaves, by David Rose and Ed Douglas. 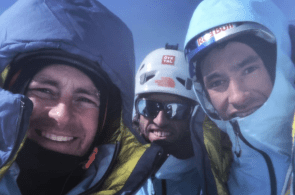 So wrote Tom Ballard, now missing on Nanga Parbat, on February 19. That was only nine days ago. 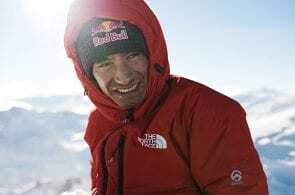 Ballard, 30, was enjoying base camp, climbing new dry-tooling problems on boulders, eating lunch in the sunshine, and ski touring before launching a winter bid with Daniele Nardi of Italy. On Facebook, Tom called the waiting period “almost” a holiday. 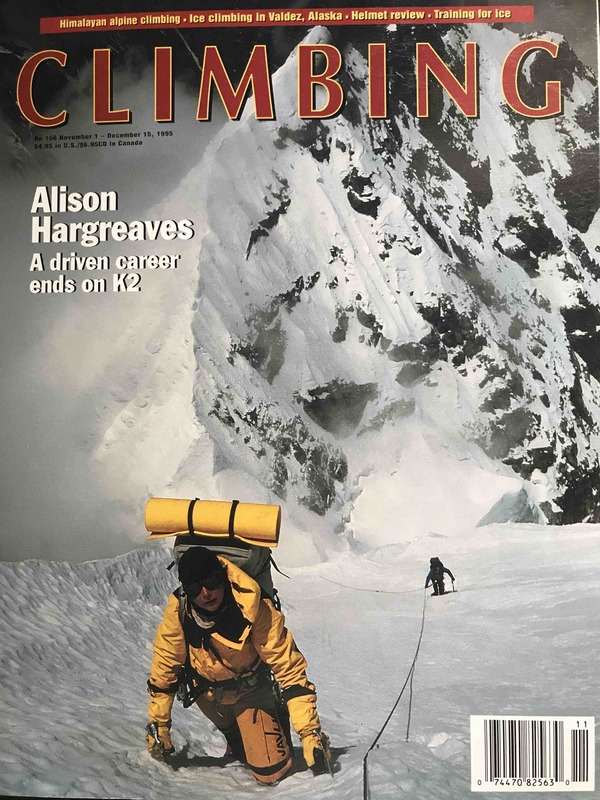 So Alison Hargreaves, his mother, told me in 1994, during my research for a long profile of her in Climbing magazine. She was not talking about any of the ballyhooed climbs—soloing six faces in the Alps one summer; climbing Everest alone, unsupported and without oxygen; or, sadly, summiting K2, wherein she vanished on the descent—for which she was or would be known. She was talking about hours-long runs in the hills, alone. No one watching. Because she wanted to. I never fit that in the article, but always remembered it. I also remember her talking about an outdoor-pursuits instructor who had been an important role model to her at 13 and who organized various weekend trips. Alison went on every one. Yet when I asked if she and the teacher, Hilary Collins, were close, she laughed. 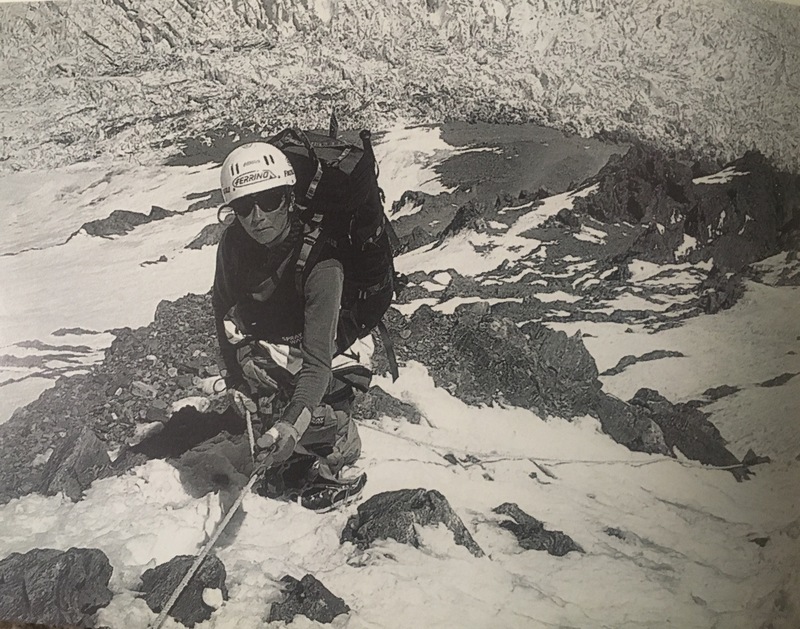 Alison Hargreaves on the Abruzzi Spur, K2. 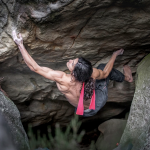 Photo by: Alan Hinkes. Months after those initial interviews, taking place over two days in her home country of England in autumn 1994, she did her Everest climb. We talked for but five minutes after that; I was one of literally hundreds of interviews, she said, all arranged by a public relations firm. Everest had been a joyous experience for her: “Amazing,” she called it. She had felt strong the whole way, had kept her motivation during the sheer hard labor of each day’s work and carrying. After the climb she looked and felt not wasted but great—and happy. That was in May; she died only three months later, in August, possibly blown off her feet in storm. 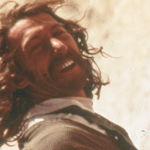 Cover image of Hargreaves on Kangtega, 1986. Image is by Mark Twight. Her death incited blasts of criticism, especially in the British press, regarding the fact that she had young children. 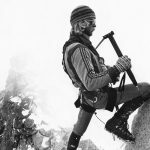 Such widespread criticism was not leveled at leading male alpinists of the era, and bear in mind that especially in the U.K. the dangers were well-known: the generation of British alpinists ahead of her had been near-decimated (Doug Scott is a notable survivor of the era). She was also criticized, though not to her face, for climbing the Eiger five-and-a-half months pregnant—in fact, with Tom. When I asked her about that, about simply doing it, because after all the illness and associated fatigue of pregnancy I simply could not imagine such a thing, and I mean at all, she said artlessly, “Well, I didn’t have a bump yet!” She added that the “bump,” or pregnancy silhouette, appeared but a day or two after she returned from the climb. She had also canceled a trip to Alaska upon the news of her pregnancy, out of concern over the possible effects of altitude. 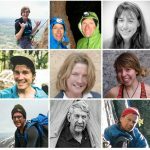 Her death, part of a famous mass tragedy that also took the life of the beloved American climber Rob Slater, was extremely painful to those who knew her as a good and downright delighted companion, and knew how much she loved her children and deeply missed them when away. Over the years I was perhaps a bit concerned but largely gratified to read that her son Tom, only 6 years old when she died at 33, was a climber and alpinist (his sister Kate, who was 4 at the time, is a climber and snowboarder, and both grew up skiing)—and in time became a very accomplished and highly regarded one. So now comes the dismaying news that he is missing, and any observer has a cavernous pit in the stomach. 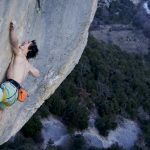 We can only hope and pray that Tom and his skilled partner, Daniele Nardi, will pop out of a cave, having holed up in weather. Stranger things have happened; plenty of them. I personally never think any climb is worth a death, but I have taken measures of risk, too, even in my relatively tame rock-climbing pursuits. And I have to believe he felt—let’s say feels—her joy in being in the mountains. Amid the space. Read more on Alison Hargreaves here.